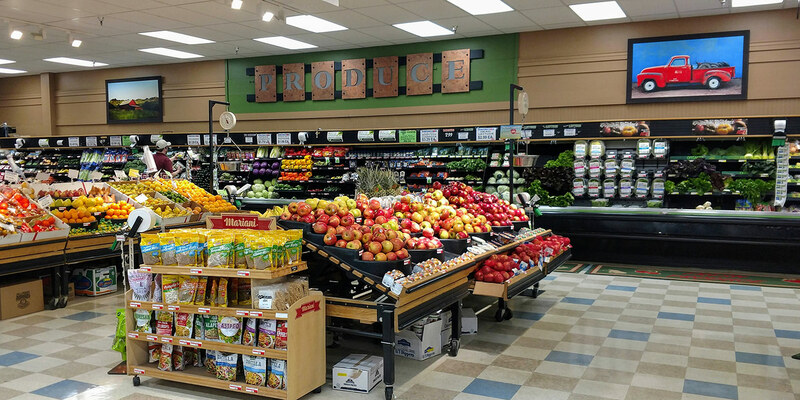 What Makes a Great Grocery Store? Seems like a simple question, right? A store with great customer service, big selection, great prices? Or is it a store that is really innovative, with unique offerings or one of a kind services? Perhaps it is a store that sells more healthy food? Specialty products? Organics? In reality, with so many different kinds of markets and regions, answering the question is tricky. But since we just finished our annual IGA USA Hometown Proud Retailer Awards of Excellence—and are about to launch a new and improved Five Star Retail Assessment program—I thought it timely to spend a minute defining what “great” looks like. Take our four 2019 IGA USA Hometown Proud Retailers: Carlie C’s IGA, Lake Region IGA, Gary and Leo’s IGA, and Schild’s IGA. You really couldn’t find four stores more different from one another. From resort communities to suburbia, from semi-rural southern markets to a remote Montana community, each of these amazing retailers serves shoppers from radically different communities, age groups, income levels, and taste preferences. And yet, each of these four got incredibly high marks this year when we visited them during the awards judging process. In fact, but for a few points in the scoring, any of them could have won IGA USA International Retailer of the Year. First, they merchandise their store as an extension of customer service. When these retailers put in new lighting, or expand their produce departments, or take the time to put wine rankings on every bottle of wine in their set, they are making a commitment to serve their shoppers better. None of these retail stores is brand new, and like any independent retailer, the store is always a work in progress. But what separates these retailers from average is one clear fact: making the store shoppable, bright, fun, and essentially “grand opening ready” isn’t optional for them. It’s not something they do when they have time. It’s what they do each and every day. Second, they are proud of what they serve. From deli to bakery, meat to produce, they take the time to make sure what they do in the store is the best quality you can find anywhere. In their hearts they know they could put their departments up against any national grocer and the shoppers would prefer their meats, produce, muffins, cakes, BBQ, potato salad, and more to anything made by a national chain. Third, they want to make shopping faster, better, easier. These retailers know that shopping can be a chore for many families, so they invent new ready-meals in deli, or expand pre-cut fruit and vegetables, or print out recipe ideas and post them on the displays, all to help customers make smart choices. One store even created their own text ordering system to speed up custom deli orders. Fourth, they treat their associates and their customers like they would their family. This isn’t something you measure, but it is something you can see. These top retailers don’t just sell boxes and bags of food, they work to help feed their community. Their commitment to service infects their staff, creating store associates who truly care about their shoppers—and communities that truly love their IGA stores. For example, when one of our IGA stores in the northeast suffered a catastrophic fire earlier this week, the neighborhood came out in droves, lit candles, and stood in the parking lot together as a community to show their support for the owner and his family. It made the local news. When asked if I was surprised by the community response, I was quick to answer no. Our amazing brand and our incredible IGA retailer families create connections that go deeper than just selling cans and boxes. And when we do it right—when we create extraordinary experiences for our shoppers—they love us for what we do in a way they will never ever love a national chain. This year we are changing the IGA Five Star program. Our goal is to streamline scoring, focus more on the parts of the retail store that matter to shoppers. With a new assessment partner, more modern technology, lots more photography and documentation, and a soon-to-come tie in to our Institute training and Way to Care customer service improvement program, we are excited about the upcoming changes. Whenever scoring systems change, retailers ask lots of questions: How will my store be judged? What is different than previous years? Will I still make Five Star like I did in the past? Will it be easy to use the score to improve my store? (Look for a full article on the new program in the IGA Minute, and visit IGA.com for more details). In short, the new program is similar to Five Star rankings in the past. An independent assessment is done by local shoppers based on a set of questions our retail advisory board helped us to create. If your store got Five Star in the past, and if you continue to provide great customer service and exceed shopper expectations, then you should expect to continue to earn high marks. Of course, the primary goal of scoring is to help us all improve. The ranking you get as a retailer allows you to benchmark your store relative to other independent grocery stores. It also gives IGA corporate a method for dealing with stores that don’t meet our minimum expectations. I think you will like the new program, the detail provided by the assessor, and the better reporting process. Moreover, I think you’ll like the new Five Star recognition—including a new award level based on independent ranking and shopper feedback called Five Star Platinum. Reserved for the top three percent of IGA retailers, Five Star Platinum is designed to help us identify retailers who are truly setting the standard for great independent retailing. Congratulations and a hearty thank you to our IGA Hometown Proud USA Retailers—and our IGA International Retailers of the Year—for leading the way. ← Your Updated Assessment Program is Here!